As a 6th grade teacher you can imagine that self-control is a hot topic in my classroom! You’d think keep your hands to yourself was a lesson students learned in kindergarten, but I found myself teaching it over and over again. I noticed that our students didn’t lack good intentions or disagree with the rules, they simply lacked the self-control to override their impulses and follow through with their intentions. Sound familiar? Self control is a large indicator of success. High self-control– the more likely you are to follow through and achieve a goal, have a happy life, and build strong relationships with others. What we’re all working towards right? Are your intentions to eat fewer calories, healthier meals and workout every day, but you just can’t seem to follow through? Lack of self-control can be extremely frustrating and defeating. 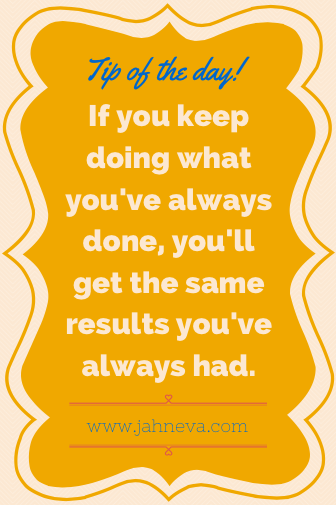 You want to do something, but you just can’t seem to take the consistent action to get there. You’re not alone in this. In a recent survey done by the University of Pennsylvania, 2 million participants were asked to rank order their strengths in 24 different skills. Self-control came in dead last. The good news, research also shows that there are steps to take to strengthen your self-control. First, let’s examine why self-control is so tough. Perhaps you want to control your eating so you set a goal to eat your target number of calories by cutting out 200 calories of junk food each day. You succeed in day 1 and day 2, but on day 3 you go to the movies and end up with an extra 1,000 calories from eating movie theatre popcorn (been there 🙂 ). You just took 2 steps forward and 5 steps back. You failed. And you certainly feel the emotions of that. You’re overwhelmed with the feeling of failure and your 2 measly days of working so hard to be successful feel pointless. So what do you do? “Re-start” tomorrow? Lower your expectations? Throw in the towel? I’m writing on this topic because most people become frustrated and quit. Worse, are folks who don’t even realize how far off track they are. Below are some simple things you can do to make sure that you aren’t one of these people. Tweak the way you set and work toward goals and your self-control will become less of a defining factor. 1. Know yourself: Take some time to answer these questions. Have you worked toward this goal before? What lessons can you learn from your past failures? How is your self-control in this area? What hardships can you predict you will encounter while working towards this goal? What can you do when these come up to get back on track? When I go through these questions, I find it helpful to create a mantra for the goal the I repeat to myself when I’m faced with failure or difficulty. For instance, I really struggle with distractions when I’m working. I had sticky notes on my laptop that said, “Work your list! Close your email! and Live Life by Design!” These reminders allowed me to refocus as my self-control is tested throughout the day. This tip is especially helpful if you’ve failed at a particular goal in the past. 2. Have a healthy mindset: When you set a goal, realize ahead of time that you’re going to have both failure and success associated with it along the way. Plan ways to celebrate your feats of self-control and when you do fail (and you will), focus on the actions you’ll take to overcome the failure. Let your failures remind you that you’re making progress– you can only fail if you’re actively working toward a goal! You may want to start a daily reflection journal, have a buddy you check in with, or use a tracking app to help you recognize and reflect on your progress regularly– a key to successfully building habits. 3. Break down your goals: Your goal is the destination. Create a map of how you’re going to get there. Plan out when and how you’re going to assess your progress at intervals along the way. My goal to pay off 100% of my student debt (I owed about $120,000 after my master’s degree) would be completely overwhelming if I didn’t break it down and relish each step I accomplish along the long journey. Paying off $7,000 when you owe that much could feel underwhelming, but having a system where I can check something off makes it feel like an accomplishment. If you want to lose 50 lbs, instead of feeling unenthused about only achieving 10% of your goal, set mile markers that change your thinking. Celebrate losing pound 1, 5, 10, 15, etc. Feed your progress with positive emotion and you will naturally want to keep achieving! I’m $50,000 paid off and close to my next mile marker. You’d never know that I’m less than half way to my destination! 4. Set goals around action: If you’re like me and struggle with taking the steps to get to your first mile marker, then you’ll need to come up with a plan to celebrate your small daily actions. Find one small change to make and reflect on your progress daily. Maybe you eat ice cream every night and you want to cut out the extra calories. Celebrate each night you don’t take that trip to the freezer. You can celebrate your progress through positive self talk, a gold star on a chart or a high-five, it doesn’t need to be an all out party, but you do need to feed your new habits with positive emotion. Before you know it, you’ll be celebrating your 1 lb mile marker! 5. Take care of yourself: Exercise, sleep and food are all tied to self-control. Get moving for even 10 minutes and you’ll release GABA, a neurotransmitter that keeps you in control of your impulses. Having a craving? Go for a 10 minute walk about the block or the office. Sleep is an important ingredient to your health that’s often overlooked. Lack of sleep leaves your brain with a diminished ability to absorb glucose, which leads to cravings and less control over your impulses. Ever go to the grocery store or out to eat when you’re hungry? Then you know exactly what I’m talking about 🙂 This is why feeding yourself satisfying foods consistently throughout the day is so important. Keep your glucose levels healthy and you’ll have a greater ability to control impulses and less cravings for sugary foods. Decide to improve your self-control now so that you can increase your capacity to make positive changes for the rest of your life. Take action! Post below with your plan for the next time you’re struggling with self-control. What tip did you find most helpful in making your plan?